For moms like me, the kitchen is my magical kingdom and in our small kingdom there lives a Princess, my daughter Maia. 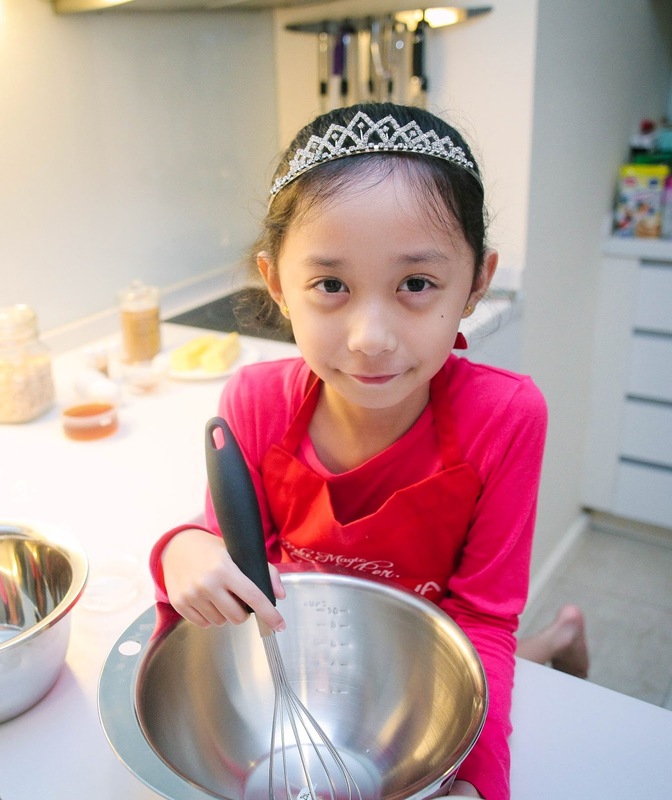 She always dreams of becoming a princess and she loves to make magic in the kitchen. 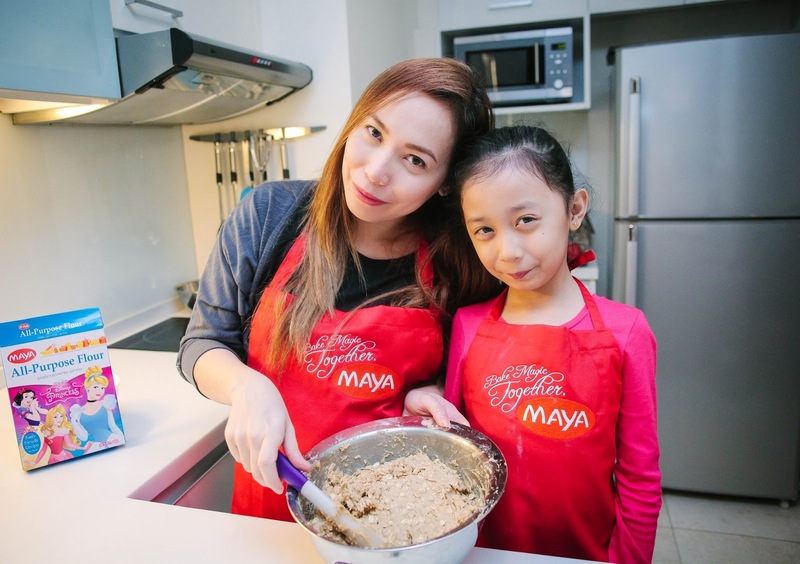 With Maya and my magical spell, we have the perfect formula for an enjoyable and magical baking and bonding activity. Take one non-pro but dedicated queen in the kitchen and one princess of the baking pan. Mix in happy memories, then add magical flavor combinations – such as the most powerful ingredient of all, Maya All-Purpose Flour – and we can make anything magical. 1. Oats + Honey are the best. 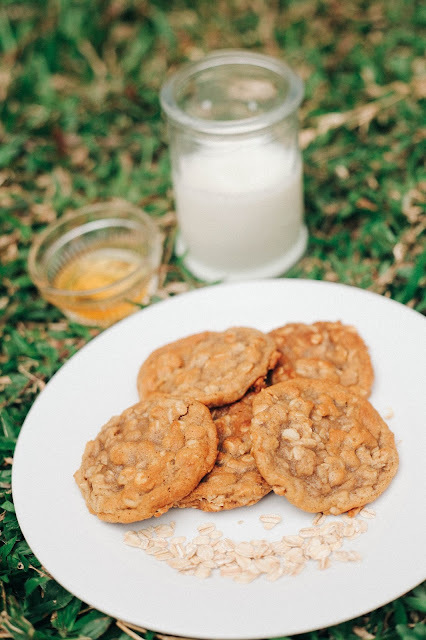 Oatmeal cookies aren’t overpowered with sweetness. It's a healthy snack alternative as opposed to all of the super high-sugar, over-sweetened and artificial-everything treats. 2. I'd like to tell you there was a heart-warming childhood story behind this. Truth is, I discovered, while cleaning out my pantry, that I have (not two…not three but…) four large boxes of oats. I didn't know I have so many oats. What was I trying to prove? 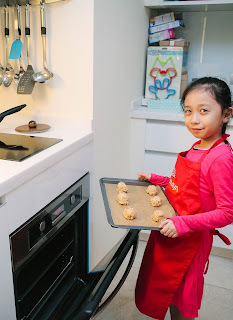 So Maia and I baked some Oatmeal Honey cookies together over the weekend. Take note; I'm not a professional baker and we have 1 to 100 ratio of making perfect freshly baked cookies. Talk about some great odds for winning the 1 million pesos lotto grand prize, but the odds of having an unforgettable moment that we will cherish forever are even higher. I love baking with my daughter because it's a fun, learning experience and it's a great way to help her develop basic skills such as; reading and following instructions by going over a recipe, improve Math skills by counting and measuring the ingredients, and it hones the visual, spatial and coordination skills by simply pouring batter onto a tray. Baking doesn't have to be a chore. In fact, it should be a big ball of fun! So let kids be kids and join 'em while you're at it. Remember, kids are only young once and you'll never have this day with them again. Tomorrow, they'll be a little older than they were today, so make magical moments happen and enjoy it. It'll be over before you know it.. So what are you waiting for? Let's get started! Check out one of the magic spells I found from www.newgenbaker.com that has the power to bring you and your kids closer than ever before. 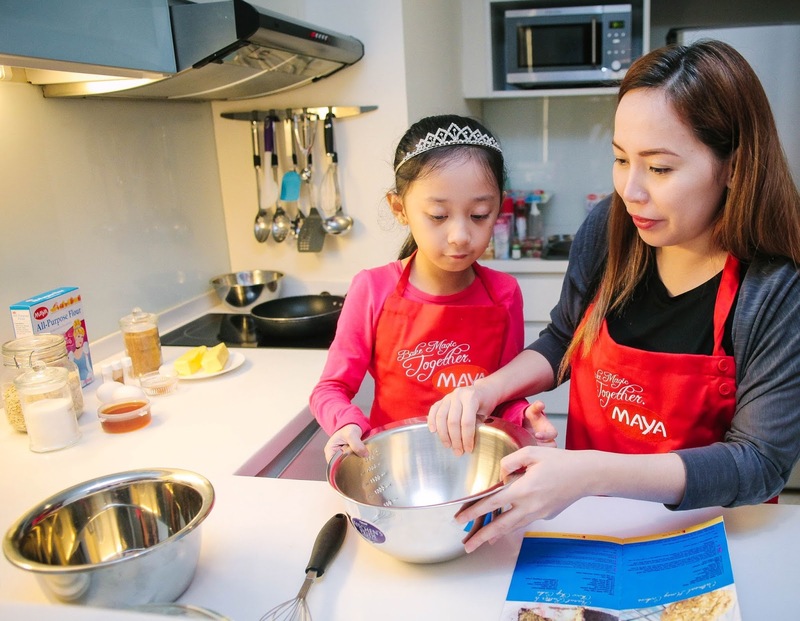 This website includes age-appropriate recipes with kid-friendly tasks (labeled K) so you can determine where your child fits in. First, preheat oven to 350F /177C. Line a cookie sheet with baking paper. Set aside. 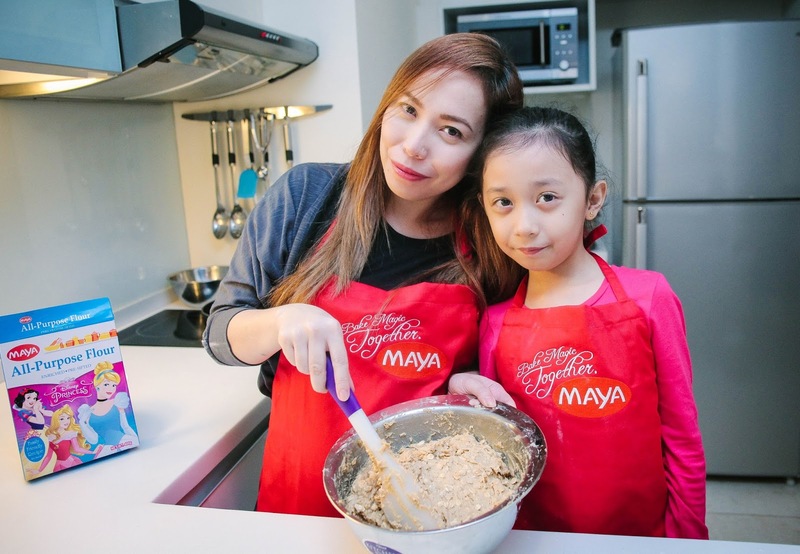 Then, in a large mixing bowl, sift together the MAYA All-Purpose Flour, cinnamon powder, baking soda and salt. Set aside. What I love about this recipe? No electric mixer needed. However, we made a beautiful mess that made the King (her dad) a little worried because well, who's going to clean up all the mess? Drum roll please — Dad! Now, that's what you call family bonding time while creating the craziest, noisiest, messiest and most magical time of your lives. Yay! Push! Achieve! In a separate bowl, cream the butter, white sugar, brown sugar and honey until fluffy. Beat in egg and vanilla. Then, add the flour mixture and mix until well incorporated. Fold in the oats. Actually, Maia is already tuned in to the magical moment when the eggs, sugar, flour and the rest transform from separate ingredients to a delicious whole. Chill for at least 30 minutes. It's the last magic trick to getting a really thick, chewy cookie. Chilling is mandatory because of the extra liquid in honey. The batter is initially very sticky, and chilling gives the oats time to absorb more of that moisture. Scoop or spoon batter onto the prepared cookie sheet. A cookie scoop is unnecessary but very handy for scooping out evenly sized cookies. Make sure that there is at least 2-inch space in between cookies because they will spread during baking. Then bake them at 350 degrees for about 15-18 minutes, or until the cookies spread and start turning evenly golden brown. Allow to cool on the cookie sheet for 5 minutes before transferring to a wire rack to cool completely. Then enjoy and eat to your heart’s desire. Finally, when you’re finished baking, playing around and making cookie castles out of them, serve them to someone you love. I promise you they’ll love you right back! Dunk them in a glass of milk or you can also share your happiness with others. Maia brought some cookies to school and gave some to her classmates. She said that they liked it way more than their baon. These pretty delicious cookies! You’ll love these cookies! They’re sweet and magical, chewy and very delicious! Maia enjoyed baking and eating them. I can't believe how easy and simple it is to bake cookies! Also, I was equally smitten and excited about sharing these magical moments with my daughter. 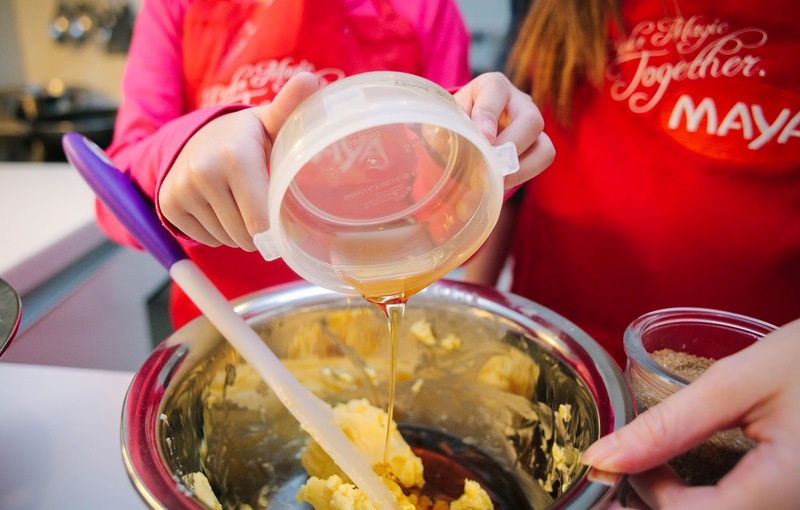 Tis the season to enjoy sweets of all sorts and the season to bake lots of cookies. They're one-bite wonders that will disappear fast. Thanks to Maya, our partner in making magical moments happen. I'll admit, baking is a nice bonding experience for mom and daughter. 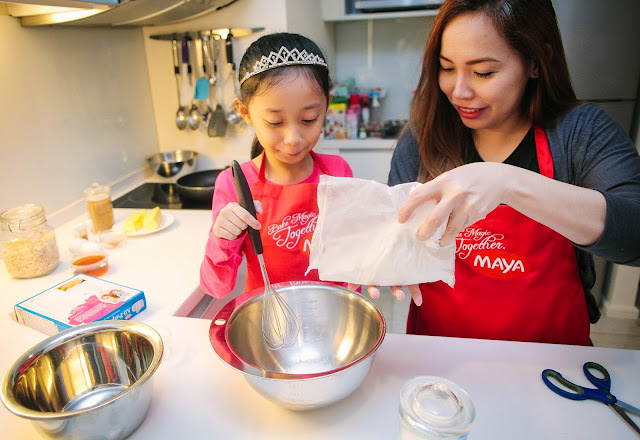 Whether you're whipping up your kid's favorite cupcakes for her birthday party or baking cookies for snacks, the time you spend together will be unforgettable fun for you both. The key is to enjoy the precious moments you share together. 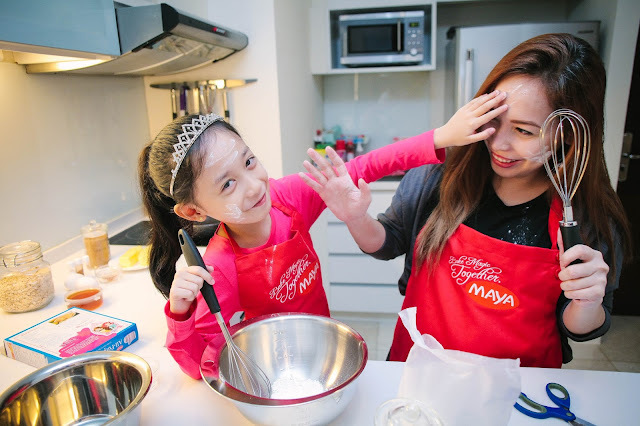 Either you bond through baking or argue over it, you’ll see. My hope is that this recipe can help other moms find inspiration in the kitchen, and that they can make magical moments happen for their little princesses too. 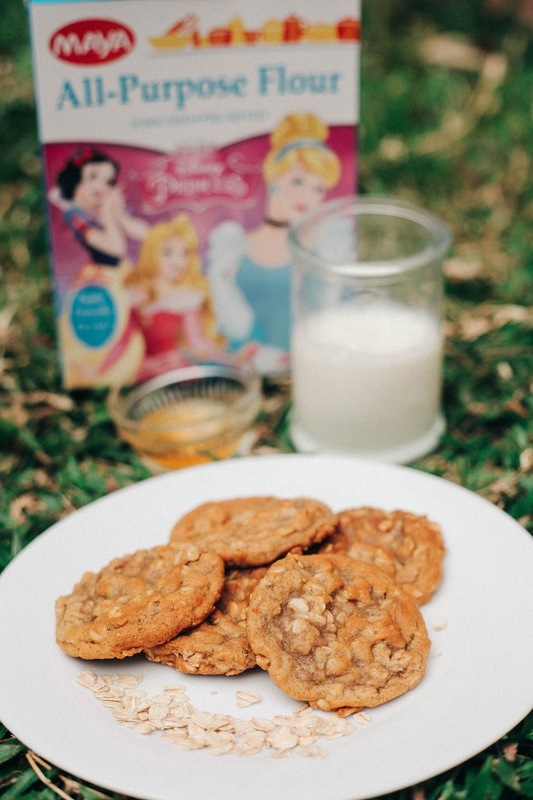 I sure hope you’ll give these honey-sweetened, oat-based, magical everything cookies a shot soon. 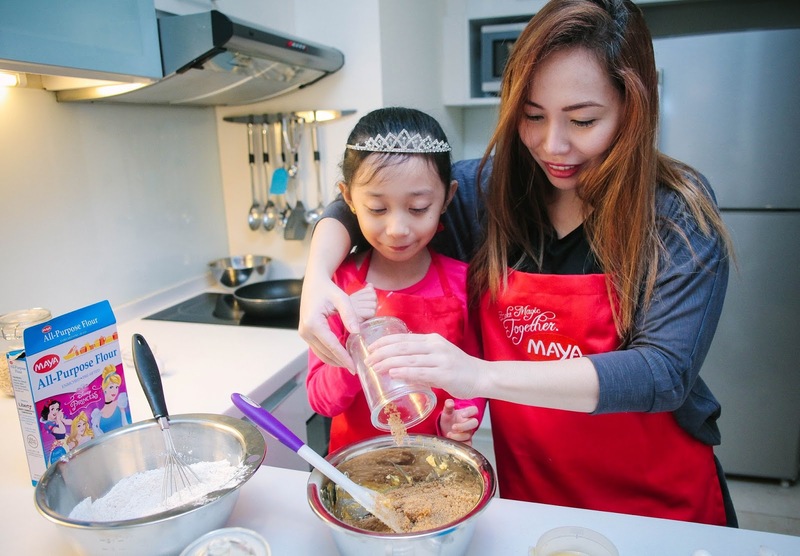 Maya brings more fun-filled hours spent baking at the kitchen and I know that this moment, every bit of it (and every bit of our cookies), will live on forever. Because with Maia and Maya in the kitchen... that's when the magic happens. Indeed, magical things happen in the kitchen, and, like most fairy tales, the Princess with the King & Queen lived happily ever after... at least I hope we do. 1. Preheat oven to 350F /177C. Line a cookie sheet with baking paper. Set aside. K 2. Sift together the flour, cinnamon powder, baking soda and salt. Set aside. K 3. Cream the butter, white sugar, brown sugar and honey until fluffy. Beat in egg and vanilla. K 4. Add the flour mixture and mix until well incorporated. Fold in the oats. Chill for at least 30 minutes. K 5. Scoop or spoon batter onto the prepared cookie sheet. Make sure that there is at least 2-inch space in between cookies because they will spread during baking. Bake until evenly golden brown, about 15-18 minutes. 6. Allow to cool on the cookie sheet for 5 minutes before transferring to a wire rack to cool completely.